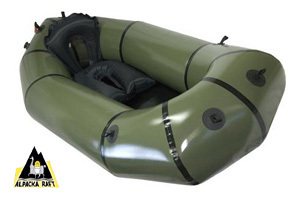 Alpacka packrafts are very rugged, hand-built ultralight (2kg) wilderness boats. 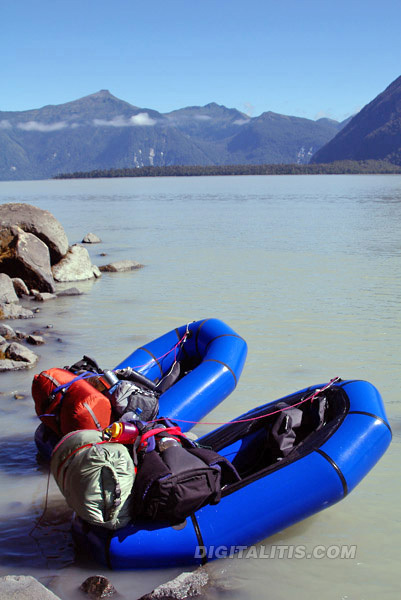 Whether used for expeditions, fishing a remote Andean lake, descending whitewater, or just exploring a little wetland on the side of the road, they make wilderness boating accessible. They are build to last. 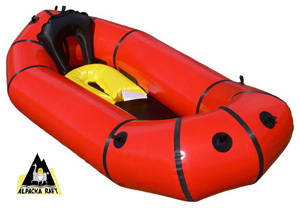 Alpacka rafts are tough, packable, low-maintenance, quick to inflate, and intuitive to paddle. They have been used on multiple exploratory Patagonian expeditions including western circumnavigation of the Northern Patagonian Ice Field. 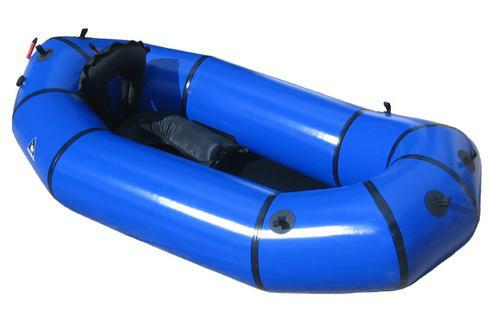 They are ideal for wilderness trekking and fly fishing in remote areas as well for whitewater rafting in places not accessible otherwise. Made in the USA. 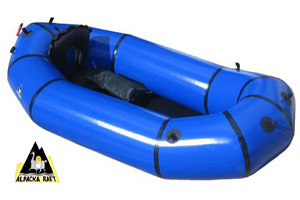 Now Alpacka Packrafts are available in Chile. Jon Krakauer, foreword to Packrafting by Roman Dial. Includes: Boat, basic repair kit, stuff sack, inflation bag, removable seat and seat back, 2 stern grab loops, 4 bow grab loops. With cargo-carrying and whitewater features on its hull, the Alpaca is a go-anywhere boat that's proven itself from long-range trekking, to sheep hunting, to Grand Canyon whitewater. The Alpaca is generally preferred by boaters 173cm in height or shorter, looking a raft capable of carrying large packs, negotiating difficult rivers, or doing substantial water crossings. 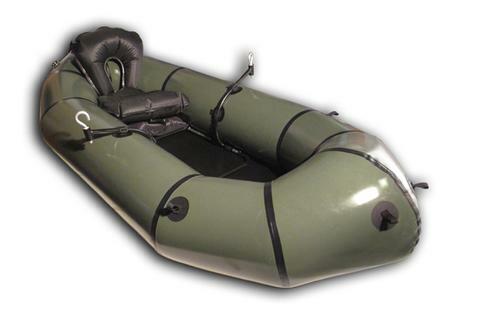 The Yukon Yak is our mid-size expeditionary and multi-purpose boat. With whitewater and cargo-carrying hull features, the Yak is our most popular model for adventurers and backcountry river-runners. It is a good, high-performance fit for paddlers who range between 5 feet 8 inches 173cm and 183cm tall, and lets smaller paddlers carry large loads. 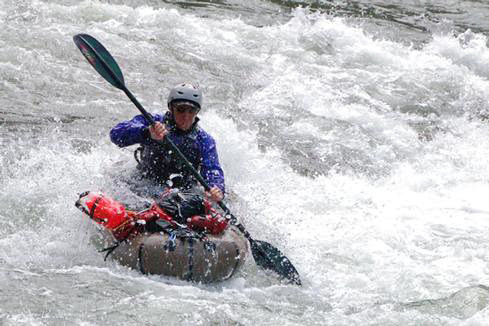 If you're between 173cm and 183cm, and looking for an all-purpose boat or the best whitewater performance, the Yak is the right size for you. 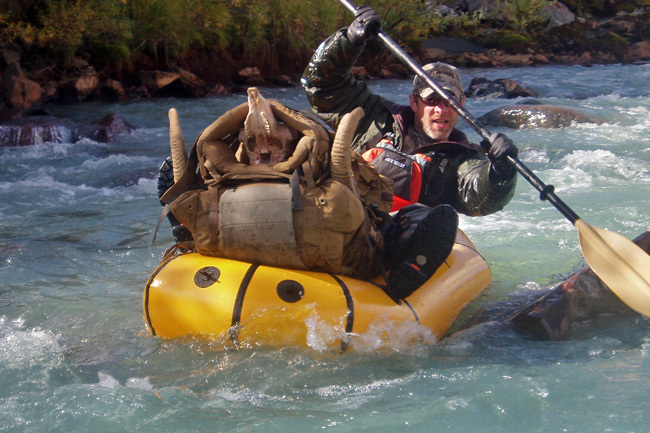 The Denali Llama is our largest all-purpose and whitewater-style raft. It is 11cm longer than the Yak, allowing for larger packs and longer legs. 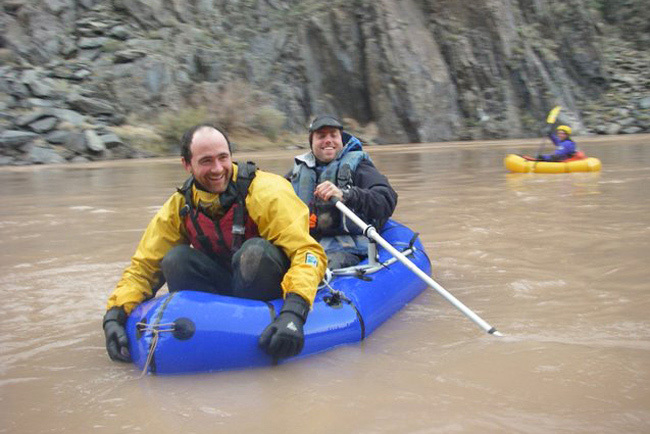 People taller than 183cm generally find it the best size for whitewater and general-purpose boating. The Llama has plenty of flotation for two people on a short crossing. 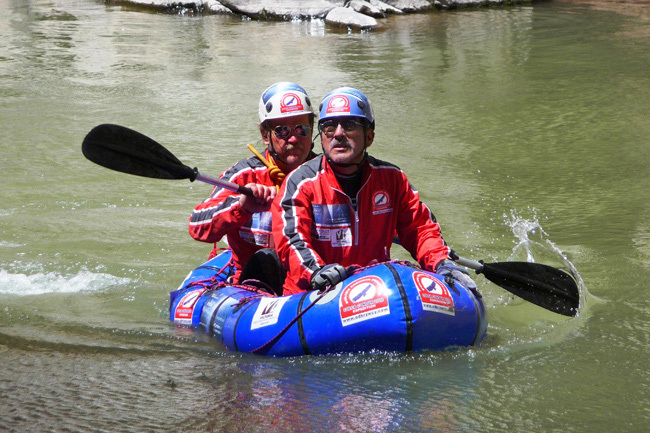 For this reason, we recommend the Llama as an option for couples or small groups who want to do calm river fording or limited flatwater crossings. 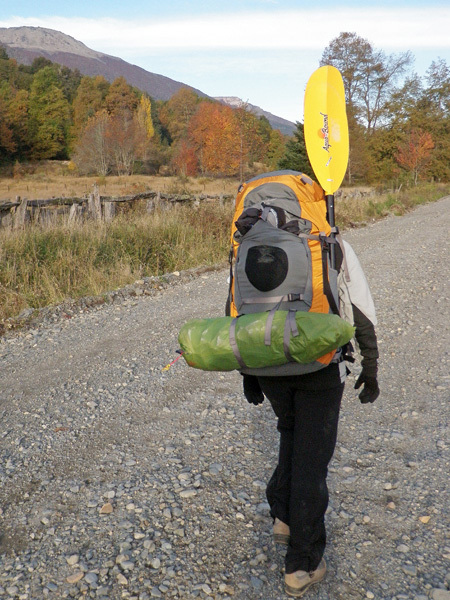 A single paddler can ferry all the packs and travelers, one passenger at a time. This technique allows groups to safely cross water obstacles with minimal equipment. Includes: Boat, oarframe, breakdown oars, removable seat and removable elevated rowing seat, detachable skeg, sil-nylon stuff sack, repair kit, inflation bag, 2 stern grab loops, 4 bow grab loops. 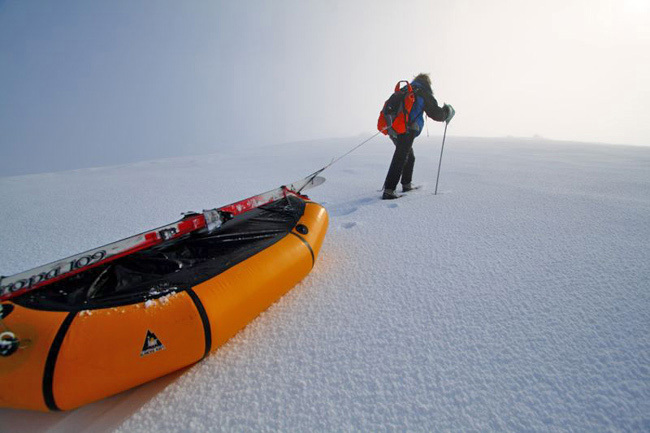 The Fjord Explorer is a light, portable rowboat for one or two people. 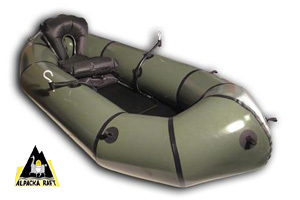 It's great for fishing, flatwater exploration, and as a small roll-away sailboat tender. 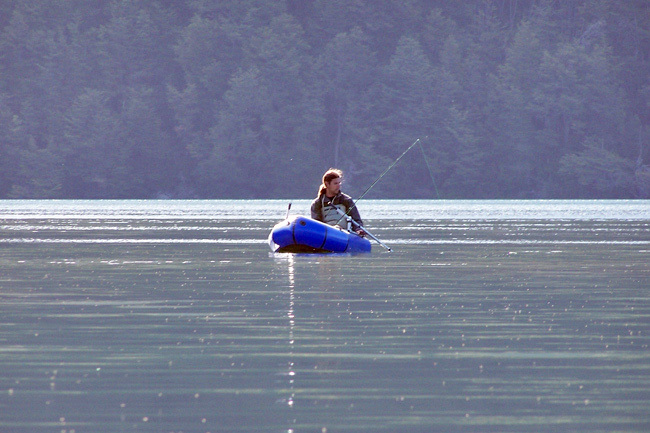 It can be rowed with its collapsible oarframe and oars, or paddled kayak-style. With its extra-long hull and added flotation, it is designed with the capacity for a passenger or extra cargo. An attachable skeg improves open-water tracking in rowboat configuration, and a removable, an elevated seat improves rowing comfort and ergonomics, and the entire boat can be stripped down to "Unrigged Explorer" configuration for backcountry trips. The Explorer is a multi-configuration boat, loaded with features. 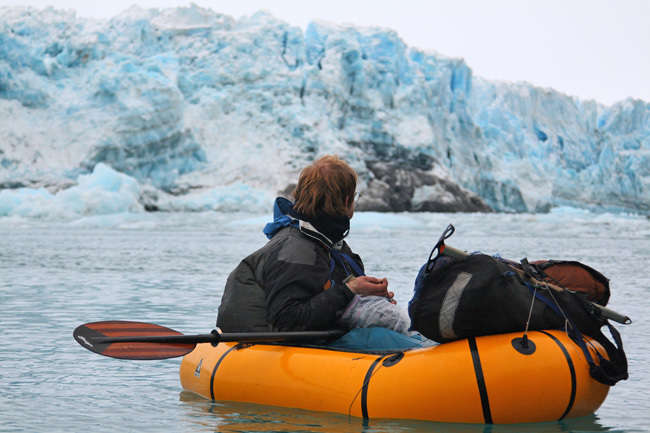 As a Rowboat the Fjord Explorer utilizes a 700g oarframe and special-built 450g oars. Both can be disassembled for packing, and the oars can be reconfigured to form a feathered kayak paddle, or two short, canoe-style paddles. The Explorer is easy to row, and can reach speeds of approximately 2.5 knots. Rowing allows you to achieve and maintain this speed efficiently, making it easy to cover distance. 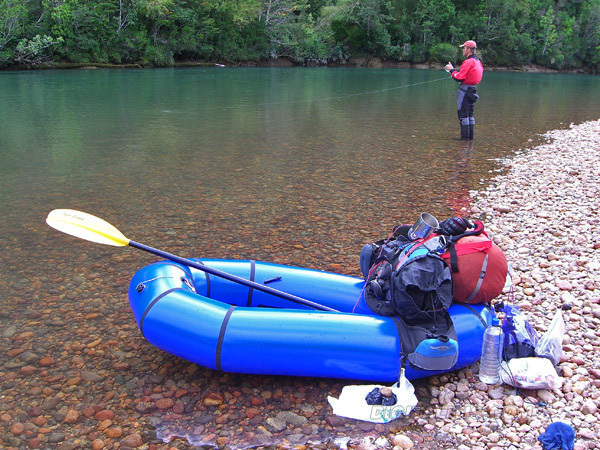 The raft itself is built to the same rigorous standards as all our boats, but the oarframe and oars are not designed for whitewater - so you'll want to paddle your Explorer "unrigged" if you're running a rocky river. 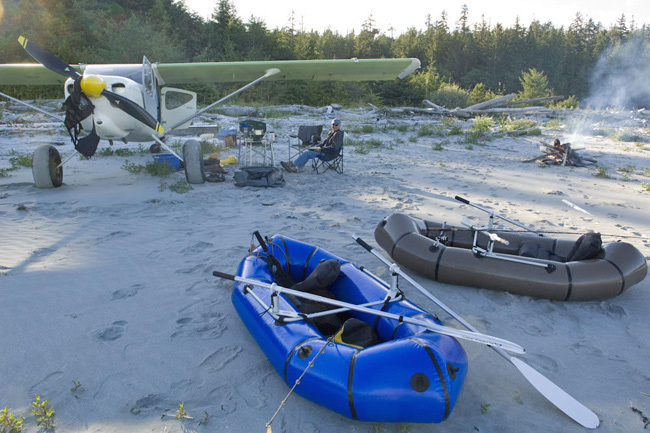 Stripped of oars and oarframe, the Fjord Explorer becomes an "Unrigged Explorer." This conversion takes only a few minutes. The oars can be reconfigured into a kayak paddle, and the oarframe, skeg, and extra seat all removed. 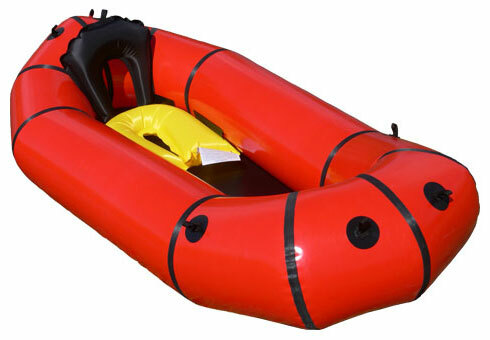 The result is a raft with greater internal volume and flotation than any of our other boats. 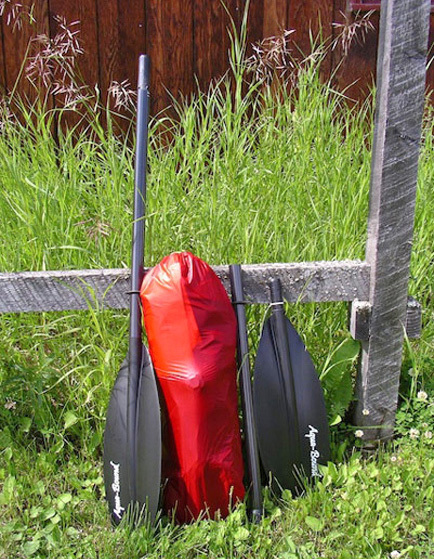 The Fjord Explorer is designed so that it can be used on flatwater by two people. This can be done either rowing (usually witth the second occupant sitting on the bow tube) or unrigged. The Fjord Explorer comes with a velcro-attachable skeg to improve tracking on lakes and open water. The skeg is not intended for shallow water & rapids. The Fjord Explorer also comes with a detachable, elevated rowing seat. This seat can be used as intended, left at home to save weight when you're going light, or used as a separate seat-pad by a second occupant. The elevated seat also provides an improved platform for fishermen to cast from.